We have been slowly adding to our back bar of whisky over the last month and while there are too many products to mention we decided to touch base and let you know of some of the rare gems that we have recently added. These new additions include everything from local once off bottles, to new age whisky from India, moonshine and premium Japanese whisky. Dave, Polly’s bar manager has tasted all these drops over the last week and has also provided some tasting notes for his favourites. In addition to adding new whiskeys to the back bar we have also re-imaged our whisky classes, now with 7 to choose from. From classes that are ‘Straight from the Barrel’ exploring whisky in its purest form, ‘Aussie As’ celebrating some homegrown heroes, and ‘Around the World’ – everyone knows a Scotland is the biggest produce or whisky however there are so many new, emerging and award wining whiskeys from the corners of the globe including Taiwan and India. Check out more about our whisky classes. 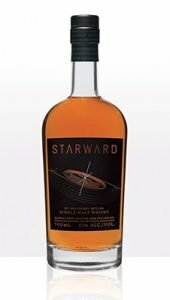 From all accounts Starward has gone from being a complete unknown (making whisky out of an airplane hangar in Essendon) to being front and centre of the Australian whisky scene – named Best Australian Single Malt at the World Whisky Awards for two years running. Early in June Starward celebrated their 10th Birthday. And to mark this occasion they announced that they would be releasing a limited-edition bottling – of which Polly has two. Bottled at a hefty 52% ABV, the anniversary bottle is part of Australian whisky history. The spirit itself embodies the sweet, juicy and dry notes associated with the brand. Dave’s tasting notes: Rich sherry and dark chocolate, roast chestnuts, tannin heavy finish. Smooth despite the higher ABV. Released in the summer of 2015 without an age statement, is set to replace the now extinct aged Taketsuru expressions. 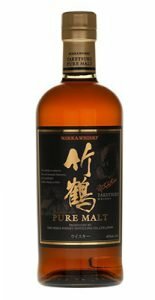 Named after the company’s founder, Masataka Taketsuru, and aged on average for around 10 years, it includes whiskies from the Miyagikyo & Yoichi distilleries, including malt matured in Sherry casks to give it a rich, spiced nose. Dave’s tasting notes: Spiced peach/stonefruit, sharp peat smoke that gently recedes, dry earthy tobacco finish – ideal with cigars. We also have one of our old favourites back in stock. Nikka from the Barrel is big-boned and bursting with character. A real star, winning top prize in its category at the World Whisky Awards in 2007 and 2010. Masters of Malt describe Nikka as “Nikka Whisky From the Barrel is one of the greatest value for money whiskies in the world. An incredible Japanese whisky, so much power!”. 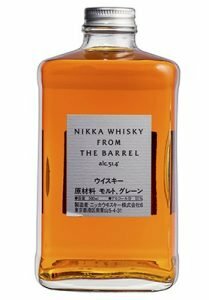 Nikka from the Barrel is featured in our Hajime cocktail, which is also now available again. A new, 14 month barrel aged edition from an in-house venture that started in Melbourne in 2016. Two direct flame fired stills are used to give added authenticity to the corn based spirit (the corn is sourced right in our backyard in rural Victoria). The taste of Melbourne Moonshine is very particular, warming your throat all the way to your belly. 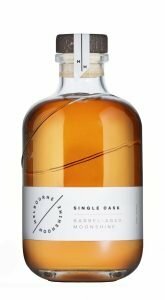 The guys over at Melbourne Moonshine describe this drop as “think rich, vanilla with hints of pepper spice… A Moonshine for serious whiskey drinkers” and with a pedigree like theirs, they can’t be wrong. Located in the tourist region of Goa, John Distilleries have been producing huge volumes of blended whisky since 1992 – it, has quickly gained world-wide attention. 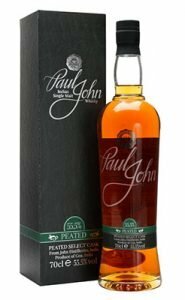 Distiller Michael John employs local ingredients, although, the peated releases source peated malt from Scotland. Spending up to seven years in the cask, which a very healthy age for the climate in Goa, India, this showcases the distillery’s trademark dry smoke. Bottled at 55.5% it’s also un-chill filtered with a fantastic mouth feel. 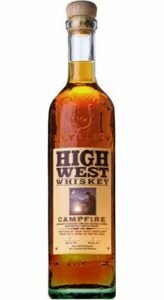 The world’s only blend of Scotch, bourbon and rye whiskeys all ranging from 5-8 years old, High West Campfire is an unusual, distinctive, yet delicious whiskey. The tail goes that one morning at the distillery the founders smelled peat in the air from the ladies that made the meals simmering a bottle of peated whisky and sugar. From there is was only a short step to decide to try sweet bourbon and peat – the rest is history. Dave’s tasting notes: Honey sweetness, with a light floral spice from the rye. Gentle but persistent peat smoke on the finish, with a hickory BBQ motif.